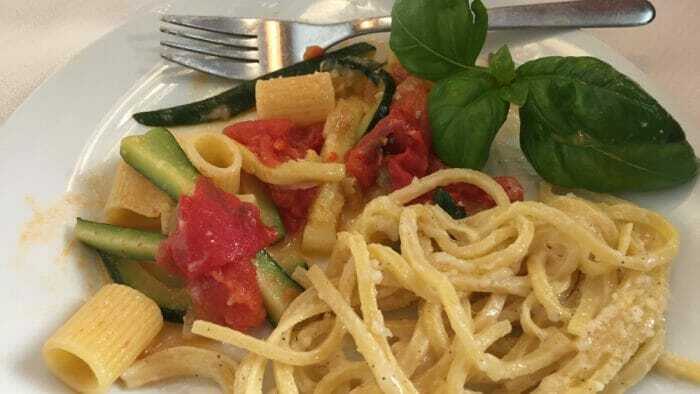 Finding real Roman food on the Trastevere for Foodies by Eating Italy. On the left is our guide, Luca. 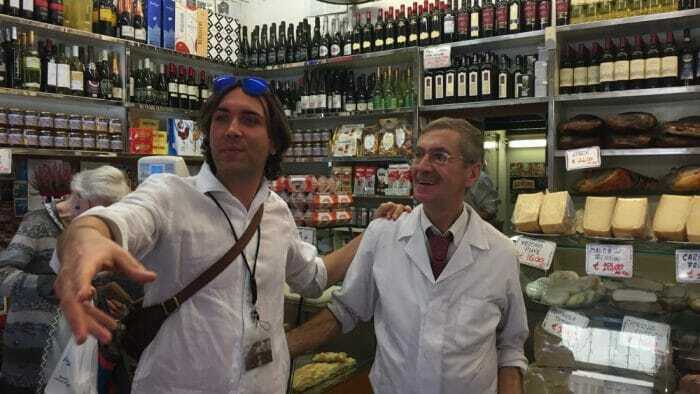 He’s with Roberto, the owner of Antica Caciara Trasteverina. See more below.Of course, I’ve always loved food. 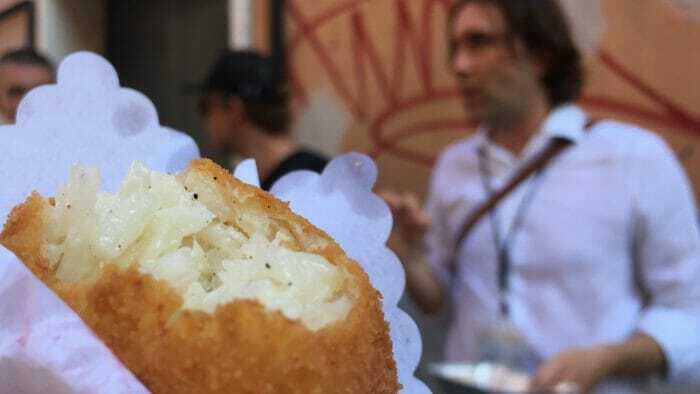 The food of Trastevere is fabulous and yours to discover through this incredible food tour. Of course, I’ve always loved food. But I have to say that it was not until I spent time in Italy that I really learned to love food. To love simple, elegant, high-quality food. And now when I go to Italy, I look for a food tour to learn more because it’s a style of cooking that I can incorporate into my own meals at home. 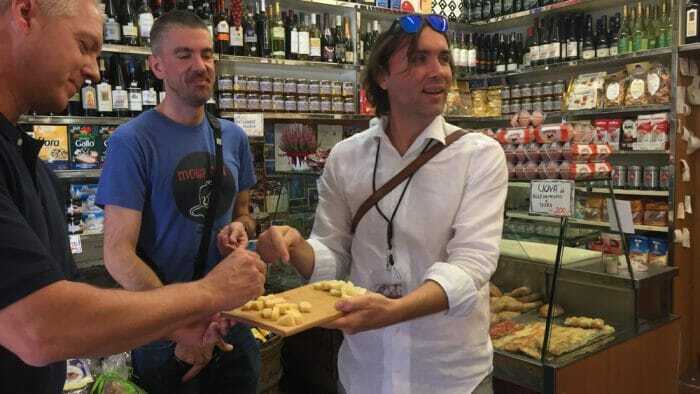 In Rome I took the Trastevere for Foodies tour. It’s a walking tour offered by Eating Europe. The tour started in the morning visiting a bakery, cheese shop, market, and gelateria. And then we were off to lunch at a trattoria followed by, if you can believe it, a visit to a cookie factory. Yes, I was stuffed but oh so satisfied for each flavorful bite was delicious. Luca teaching us how to drink from a water fountain. Don’t stick your head under the water. Plug the spout slightly and the water will shoot up out of a hole on the top of the spout. We were told that the water comes from a spring and is rated the best in Europe. Located just across the Tiber river from most of the major sights in Rome is Trastevere. The people who live there consider themselves Trasteverini first and Roman second. The neighborhood has one personality by day and another by night. During the day Trastevere is like a small village. The market opens with the rising of the sun. People share a morning cappuccino or an espresso at cafes and do their daily shopping in the local stores that line the cobblestone streets and have been in the same family for generations. In the evening the clubs and bars open. The piazzas come alive with street performers, poets, skateboarders, and partiers. But our focus was the food. 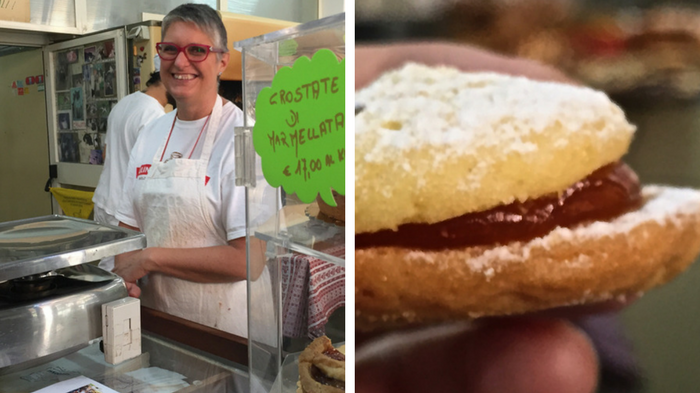 Here’s Eating Europe’s Trastevere for Foodies walking tour, stop by stop, in photos. 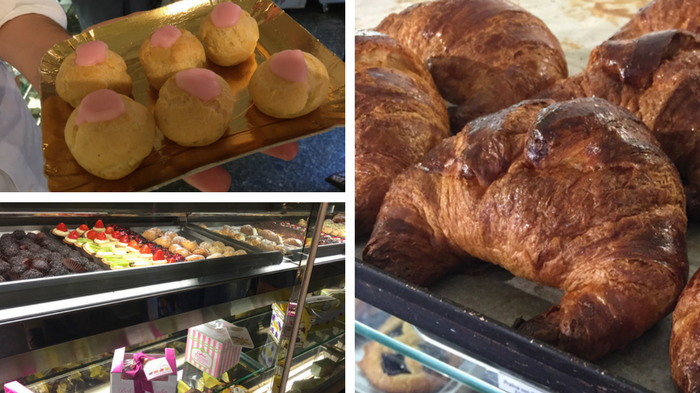 These are the delicacies of Pasticceria, our first stop on the tour. Those are not croissants on the right. They are Italian cornettos. Our next stop was Antica Caciara Trasteverina where we tasted wonderful cheese. The shop is 117 years old and has been in the same family the whole time. Were we hungry? Of course. It’s always time to eat on a food tour. So we went to I Suppli, a tiny place serving fast food. Great fast food! This fried rice ball is called a suppli and it is delicious. This was my favorite spot on the tour. 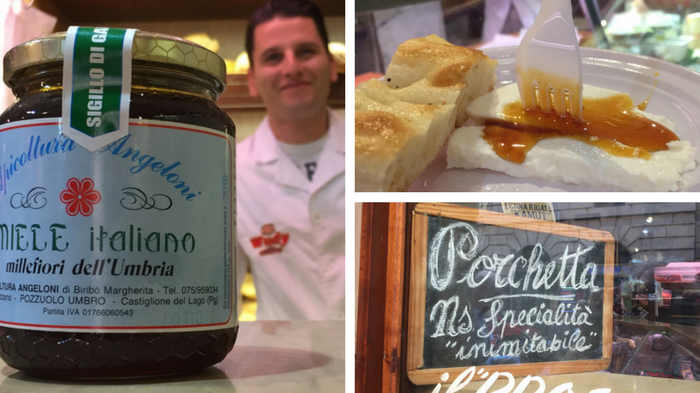 Most people got to Norcineria Lacozzilli for the Porchetta but since I don’t eat meat I was treated to their ricotta with 1000 Bees Honey – the best honey I’ve ever tasted. I don’t actually like honey. I tried this just to be polite. But it was absolutely the best! We also had bufala mozzarella there. It had a wonderful texture and a beautiful, subtle flavor. They keep it one day only, in the whey. It can’t go in the fridge or it loses its flavor. A market is a must on every food tour. 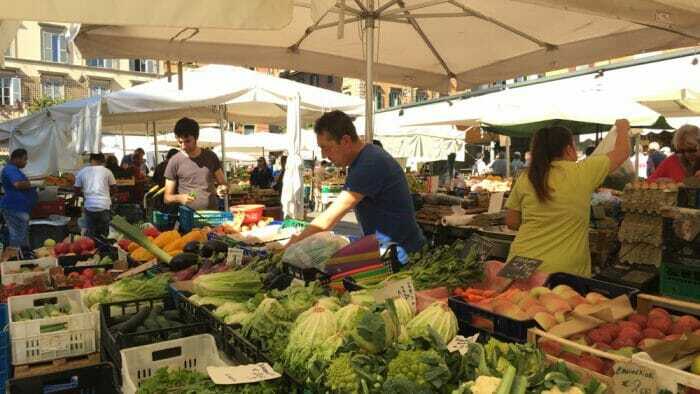 The San Cosimato market is open until 2 pm every day. And then came lunch at Casa Mia which is run by Donatella and her nephew Fabio – appropriate as it was fabulous! The tour ends at Innocenti cookie factory which sells cookies at 17€ per kilo. All are kosher. The tour was not only delicious, it was also entertaining and educational. Here are a few of the things that I learned along the way. If you share a meal you are a family. At the end of the tour, Luca declared that we were definitely all family now. There is no Italian cuisine. All Italian cooking is location specific. Pecorino Romano is the cheese used in most Roman recipes. It’s made from sheep’s milk. Roman bacon is different. It’s made with the cheek not the belly of the pig. There are 138 shapes of pasta. Italians take the variety very seriously. There is gelato and then there is gelato. Good gelato is made from scratch. Bad gelato is made from an industrial mix. To tell the difference look at the color. It should resemble the base ingredients. Pistachio gelato should be pale, not be bright green. Banana should be more white than yellow. If there is one fake color in the gelateria you can assume that they are all fake. You can also check how they are displayed. Good gelato should be in containers as they don’t naturally stay in mounds. Mounds of gelato are fake. All cookies are biscotti. What we call biscotti is simply one kind of cookie. The word biscotti means cookie. Cappuccino is only for breakfast. You may have it in the afternoon but absolutely never after dinner! Most shops are closed on Sundays. The exception is pastry shops. 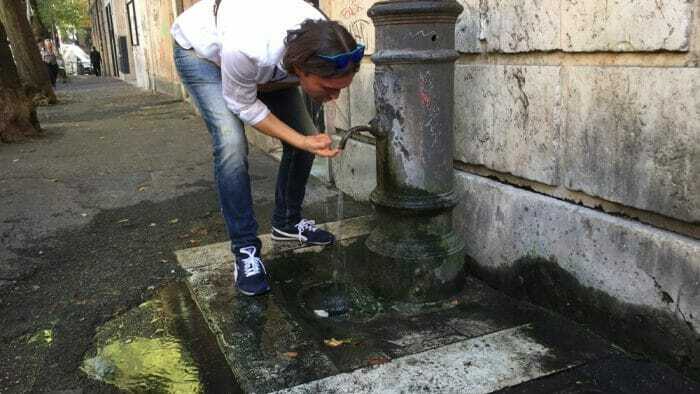 The water in Rome is rated the best in Europe. There are 2,500 spring-fed fountains in Rome. They are called nasoni. There are different kinds of restaurants. A trattoria is a family run restaurant and rustic. A place that calls itself a restaurant offers fancier food. How to cross the street. Go to a crosswalk but no one will stop until you step onto the street. Step out and look the driver in the eye. They will stop. Cross. I highly recommend this tour. Good fun. Really interesting. Delicious! This trip is a project managed by iambassador in partnership with Monograms Travel and other sponsors. Of course, Solo Traveler maintains full editorial control of the content published on this site.